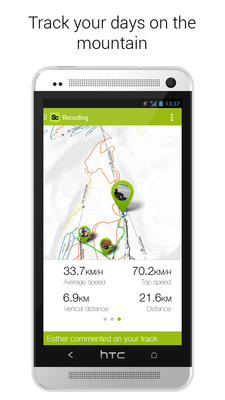 With Snowciety you do not only share your stats on a map, you share your whole skiing adventure. 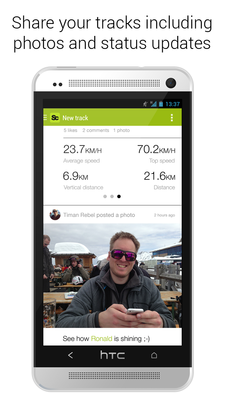 Earlier this season Snowciety released a brand new design for its mobile apps. Now with this update it is possible to share photos, status updates and snow conditions. Share pictures while traveling to the Alps or announce that you just booked a trip to Canada. 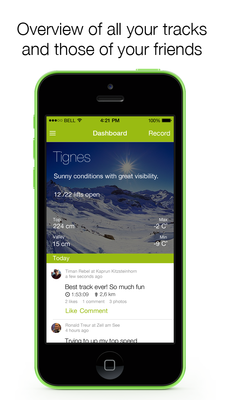 The Snowciety app becomes the social network for skiers and snowboarders. 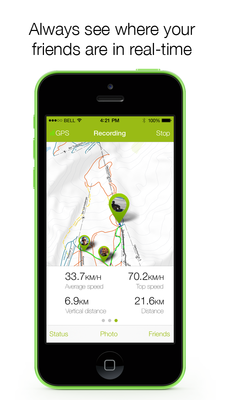 You can track your runs with Snowciety by measuring statistics like speed, distance and vertical meters. 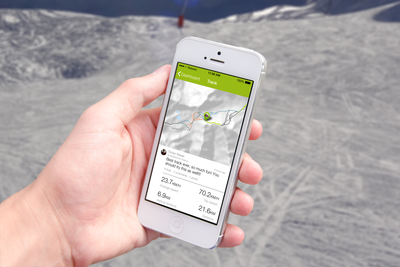 Snowciety plots your route on their own beautiful maps. 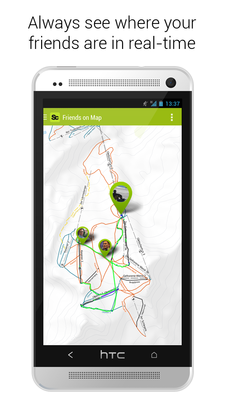 You can see where your friends are in real-time and can now share your whole adventure with the friends who share your passion for snow. 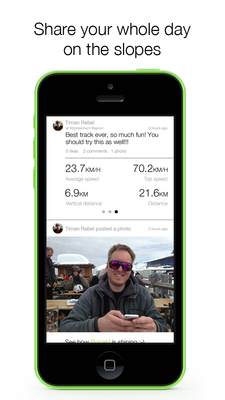 "The ability to see where your friends are on the slopes in real-time is one of our unique features", says Timan Rebel, co-founder of Snowciety, "Our goal has always been to expand that. Skiing and snowboarding is not just about stats on a map. It's an experience you want to share more fully. 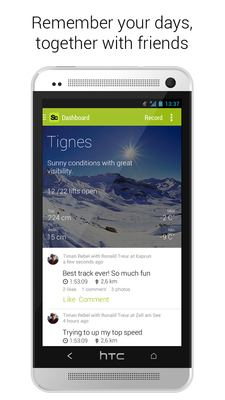 By adding photos, sharing the snow conditions and not only seeing your own routes, but also those of your friends. Snowciety wants to facilitate that". To use the social features, like sharing photos or looking up the location of your friends, an active internet connection is required. It is however also possible to use Snowciety offline. When you enter a restaurant or ski lift and connect with their WiFi, Snowciety automatically synchronises your route and requests the current position of your friends. That way Snowciety is also usable for people who do not yet have mobile internet abroad. Snowciety is available for free in the App Store and Play Store.